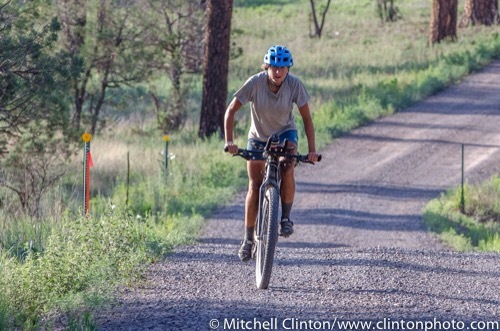 The same day Lael rode through Steamboat, the USA Pro Challenge began, also in Steamboat. Coincidentally, this afternoon the Pro Challenge finishes in Denver. I can’t help but think how many more miles and mountain passes she’s ridden since then, as compared to those sponsored, salaried pro riders, who have teams of support staff, prepared meals, and sleep in beds every night. Huge congratulations to Lael for an inspiring journey that is already making a mark on an emerging generation of riders. And Nick, I’m looking forward to an in depth review of that Hyundai. Thank you for these detailed reports! I am writing from Alaska. My husband Chris is riding the Divide with 2 friends. They are taking their time, playing along the way and remembering that they’re all in their 60’s! As per last report, they’re entering MT from Canada right around now. I appreciate knowing what’s coming up! I’m a childhood friend of Lael’s mom, Dawn. It is great to make this connection! GO LAEL!